In “The Nucleophile”, I’ll share stuff I like. As we’re getting scarily close to Christmas/Saturnalia, I thought it might be a good time to share some of my favourite science artists. 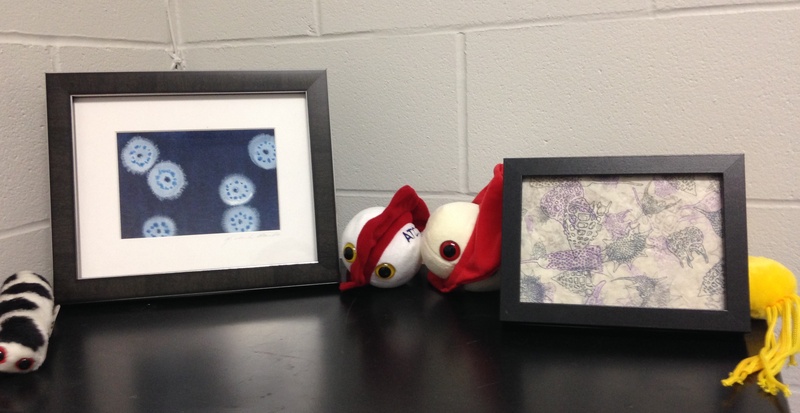 I’ve purchased items from all of these artists (for myself, and in some cases, as gifts for other sciencey-folks … oh, and I’ve been the recipient of gifts made by some of them), and I’m sharing this because I am a fan of their work! Beyond marshmallows – resisting Mr. Clown Box! While fascinating, the research was also a bit depressing to me. I picture myself as one of the kids who would have gobbled down the marshmallow right away. 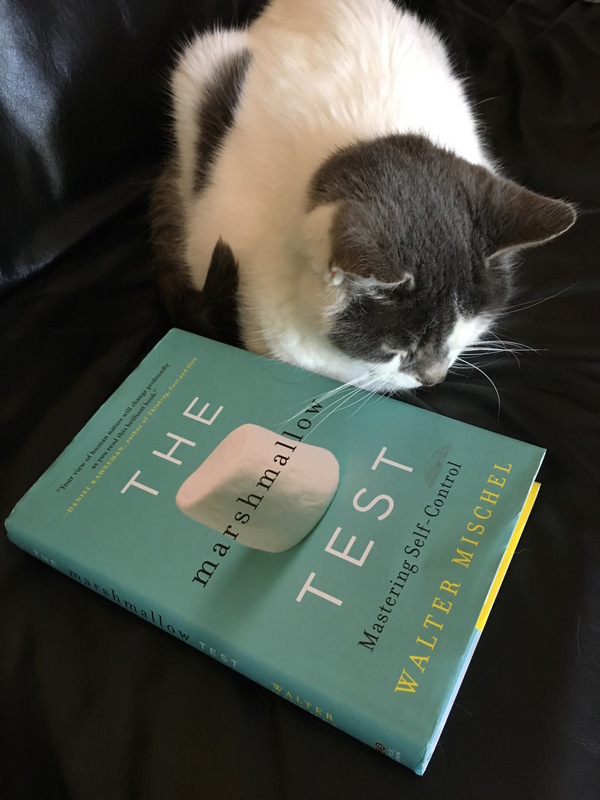 And much of what I have heard regarding the marshmallow test seems to have been focusing on the predictive nature of the experiments, revealing the capacity for self-regulation that impacts many aspects of our lives. And if you’re one of the kids who lacks that self-regulation? Doomed to a life of poor, impulsive choices, apparently. Another podcast, Invisibilia, changed my perspective on this. “The Personality Myth” episode explored the dynamic nature of personality. One of the experts interviewed was Walter Mischel, the psychologist who conducted the marshmallow test experiments. In the episode, he discussed something about the experiments that wasn’t usually mentioned when people described them – the fact that children could be taught strategies to help them resist the immediate temptation in favour of the delayed reward. That’s much more uplifting than thinking that your destiny is set, and can be predicted by your ability as a preschooler to resist a treat. I haven’t written a blog post in a long time. Often, the regular academic year is pretty hectic, so I’m less likely in general to post here, but the past few months have been … unusual. (Like I have to point that out!) It’s been tough for me to justify taking the time and effort to write about teaching and learning stuff lately, as these topics seem almost frivolous, given unfolding world events. (As a Canadian living in the US, I’m still concerned about the current political and societal situation, and I may talk about that more later, but that’s another post … maybe.) However, life goes on, and as we get into conference season, it’s time to think (and talk!) about things beyond day-to-day teaching (and other concerns). The Windsor-Oakland Teaching and Learning conference is always a great start to conference season for me, running early in May. This year, I was particularly impressed by the keynote from Peter Felten (@pfeltenNC): “Valuing Teaching: What Matters Most“. This led me to read the most recent book that he co-authored, The Undergraduate Experience (Jossey-Bass, 2016 – Indigo Chapters link). Like his keynote, the book is rich in providing clear information, backed up by evidence, with illustrative examples of positive change at various universities. I’ve read a few books centred on change in undergraduate education, which I’ve typically found to include advice that may not be realistic for my own school, or not feasible for someone to act upon who is not in upper administration. I actually felt like the Felten et al. book provided elements where I may be able to make a difference (beyond my regular goal of teaching and advising as well as I can, in my current position). oCUBE 2016 group photo – could you find a more friendly group? 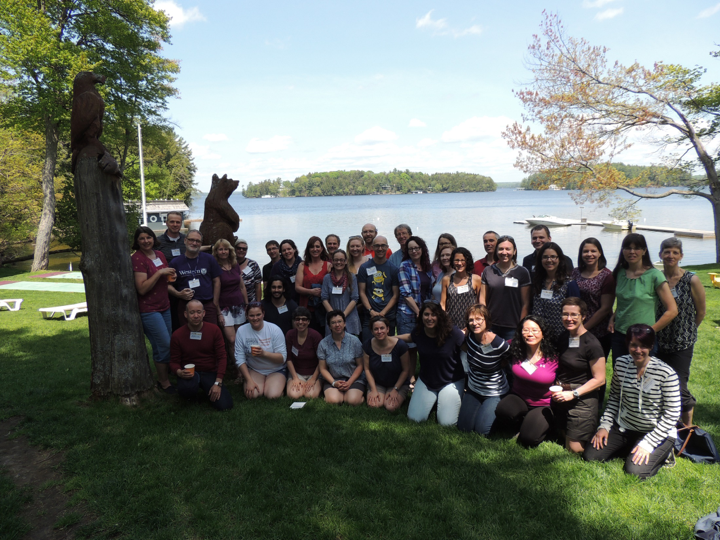 We also have the Western Conference on Science Education (WCSE) in July this summer (July 5-7). One of my favourite conferences, it runs every other year at Western University in London, ON, attracting high-quality workshops/presentations/posters, and opportunities to interact with highly engaged educators throughout the conference both in and out of conference activities. Early Registration for 2017 is still open at reduced rates until Friday, May 26th. If you’ve been to WCSE before, you can once again save $50 on your registration if you find a Newb (WCSE newbie!) to bring along (and if you’ve never been to WCSE, being a “Newb” with a previous WCSE-attendee will save you $50, too!). It’s going to be a busy summer, and that’s a good antidote to some of the other stuff going on in the world right now. What are you looking forward to over the next few months? Want to encourage people to live-tweet your event? If you follow me on Twitter, you are probably well aware that I typically live-tweet conferences. (You can always filter out the hashtag if you get overwhelmed by the tweets!) I find it useful to go through the exercise of distilling important/interesting points, have an instant electronic record of my notes, and if I’m lucky, a tweet will spark discussions with other conference attendees or other people on Twitter. Some conferences prohibit live-tweeting, but others encourage it. (If in doubt, ask the conference organizers, or the conference presenter.) For conferences promoting live-tweeting, some have good uptake, and you’ll see several live-tweeters sharing different perspectives, and/or notes from different concurrent sessions. 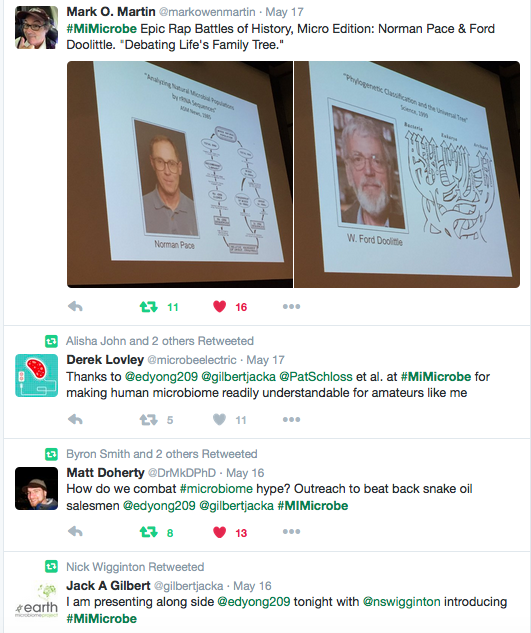 (Check out the #MiMicrobe twitter feed for an example.) Other times, there may be one or two lone tweeters … and it gets lonely being one of them! Choose your hashtag carefully. It should not be too long (eating into that 140-character limit), and hopefully easy to remember. A more tricky thing is to avoid choosing a hashtag that is being used by another event. If you have to choose a hashtag some time before your event, it may not be possible to discover who else will use the same hashtag. In general, avoid hashtags that are too generic. If you are going to use the year in your hashtag (e.g., #myconf2016), a Twitter search on #myconf2015 might be a good idea. Recruit a few live-tweeters BEFORE your event. Having even a couple of individuals live-tweeting an event can encourage other people to join the conversation. These people should be familiar with Twitter ahead of the event – it’s tough to learn how to use a new tool AND live-tweet coherently. If there are sessions that take questions from the audience, consider allowing people to submit questions via Twitter. This will likely mean that you’ll need a volunteer to monitor the Twitter feed to pass along the questions, but may encourage people to ask questions who might be reluctant to go to the microphone. This could also open the discussion to people following the conference in other locations. On your conference website, put a link to your hashtag on Twitter. Discuss social media with the conference presenters ahead of time, so that they can let the audience know if they prefer NOT to have their session (or portions of it) tweeted/shared beyond the event. * People often assume that the person tapping away on their laptop or on their phone during a presentation is doing something unrelated to the event at hand. Not so for live-tweeters! They are very much engaged in the presentation. (No need for the stink-eye!) A shout out to live-tweeters can encourage them, and maybe make other people aware that there is a wider conversation going on. What other suggestions do you have to support/encourage live-tweeting? I wrote this for my students (after Tamara Kelly and I facilitated a session on student devices in the classroom at the Western Conference on Science Education 2015) and am sharing it here, in hopes it may be of interest/use to others! Please note that my classroom policies about device use are specific to the courses I currently teach. Almost everyone has a smartphone, laptop, tablet, or combination of these devices with them during their waking hours (and beyond, in some cases). There is huge potential for distraction using these devices – which is fine if you’re waiting in a long, boring line or on the bus, but can be problematic in the classroom*. While a few profs ban these devices in their classes, I’m taking a different approach. In much of the world, including most work-places, these devices aren’t banned, and people are expected to be able to manage work/life and various distractions. That being said, I can understand why some instructors have different policies for their own classes. Some of our in-class activities will make use of online resources, so I’ll encourage you to use them, if you wish to do so. I’ll be using LectureTools, which allows me to ask you questions that you can answer on your device … and for you to ask me questions in the system (without raising your hand). If you don’t want to use a device in our class, that’s fine! One way to avoid distraction is to keep these devices out of sight (and hearing), and I’m happy to support those who take this approach. There will be alternative activities for students who don’t use the in-class system. BYOD … or bring me your questions! It’s all good. 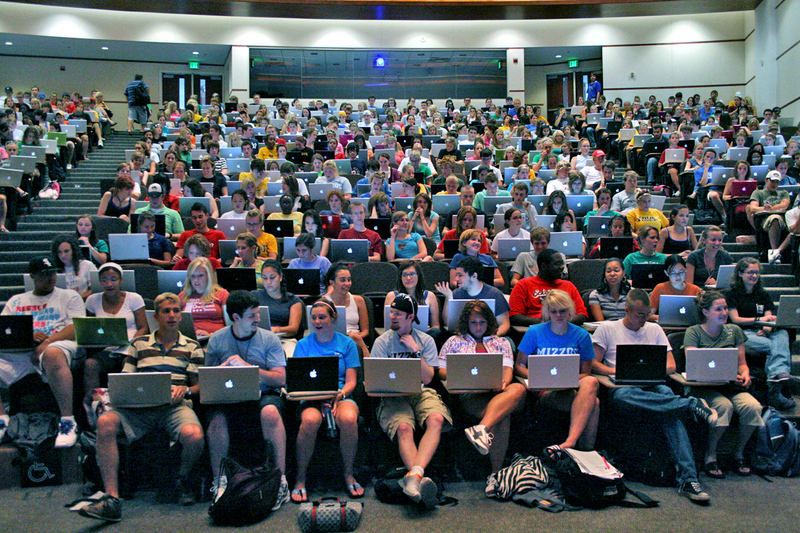 About a year ago, I switched from using clickers in my classes to a web-based classroom response system (CRS) – Lecture Tools – where students bring their own internet-enabled devices (BYOD), as I’ve mentioned here before. After three terms, I am generally happy with the system as a replacement for clickers, and I’ll likely talk more about that later.